One of the most common knee injuries is an anterior cruciate ligament sprain or tear. People who participate in high demand sports like soccer, rugby, netball and basketball are more likely to injure their ACL. To regain full function of your knee patients may require surgery, however this will depend on several factors, such as the severity of your injury and your activity level. 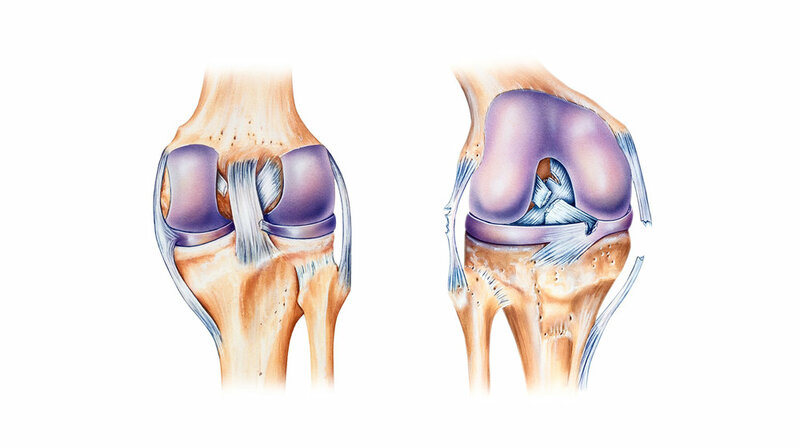 Partial tears of the anterior cruciate ligament are rare – most ACL injuries are complete or near complete tears. About half of all injuries to the anterior cruciate ligament occur along with damage to other structures in the knee, so it's important you seek out a complete diagnosis before returning to activity. When you injure your anterior cruciate ligament, you might hear a "popping" noise and you may feel your knee give out from under you. Left: Anterior view of torn ACL. Right: Posterior view of knee joint affected by multiple torn ligaments. Treatment for an ACL tear will vary depending upon the patient's individual needs. For example, a young athlete involved in agility sports will most likely require surgery to safely return to sports. Less active individuals may be able to return to a quieter lifestyle without surgery.